ABSTRACT: Digital technology and the culture it has engendered are causing a rapid transformation of long-held views about the value of content, our notions of authority, and our perceptions of how we as producers fit into the means of production of intellectual property. While record production is still largely viewed as an industry pursuit carried out by professionalized experts, its practical application is now part of the transcultural environments of digital networks and social media. This paper discusses my role as producer for three albums, and the contrasts within their respective cultural environments. The albums are “Pluck”, a CD of original classical music performed by harpist Helen Webby; “Tyre Tracks & Broken Hearts”, a CD of country music by singer/songwriter Donna Dean; and “The Stone Soup Sessions”, an Americana album. Comparisons of recording methodologies and production philosophies are made, starting with the “conventional” production model of “Pluck”, and exploring the “hybrid” production methods used in “Tyre Tracks” along with the influence of digital culture upon the production of “Stone Soup”. “Pluck” was recorded in a conventional manner that would be familiar to most producers of classical (Western Art) music. “Stone Soup” involved musicians recording at a distance, from around the world, without a hierarchy of authority, and receiving very little artistic instruction. “Tyre Tracks” was a composite of these two methods, employing some top-down hierarchical structure locally, with “distance” musicians contributing their tracks without oversight or instruction. As production changed from conventional to hybrid, and on to digital, roles shifted and the hierarchical structure of authority evolved within each project. Measured against the recognizable “top-down” structure used in the production of classical music recordings, the hybrid model used what has been called an “adhocracy”, wherein leadership roles shifted as tasks changed. “Stone Soup” assigned authority to the musicians who performed on it, and its content evolved in a “bottom-up” fashion, characteristic of the transcultural nature of digital network ecology, within the model of a modern “folk process”. This networked ecology has both isolated and standardized certain regional influences in music. They play a significant role in record production, most especially in providing for an expanded artistic pallette to be used by the producer. This paper examines the shifting roles of the producer, and the evolution of the historical folk process works within this context. We hear audio from three projects – a harp album ‘Pluck’ played by Helen Webby, Donna Dean’s album Tyre Tracks and Broken Hearts and John’s own Americana album – the ‘Stone Soup Sessions’. All were engineered and produced by John. The sessions for each were described, in terms of equipment and environment. Pluck was discussed with reference to studio power hierarchies; John describes this with the composer at the top, followed by the performance, and the recording in this case is simply a documentation. This was contrasted with the Stone Soup sessions. This was a form of collaboration that would only be possible digitally – John emailed out a ‘scratch template’ guitar-vocal track and asked each musician to add instrumental parts, without hearing any of the other parts. Musicians contributed from all over the world. We hear a comparison – scratch template with click, guitar solos, and final mix with solos. Over 700 files were collected – 232 total tracks on 13 songs. The project relied on the musicians’ abilities in roots/Americana. As John puts it, ‘digital culture valorises the contribution of individuals, and replaces professionals with the wisdom of crowds’. The ‘producer’ role became a ‘designer’ or ‘facilitator’. He describes the project as ‘communal production’. 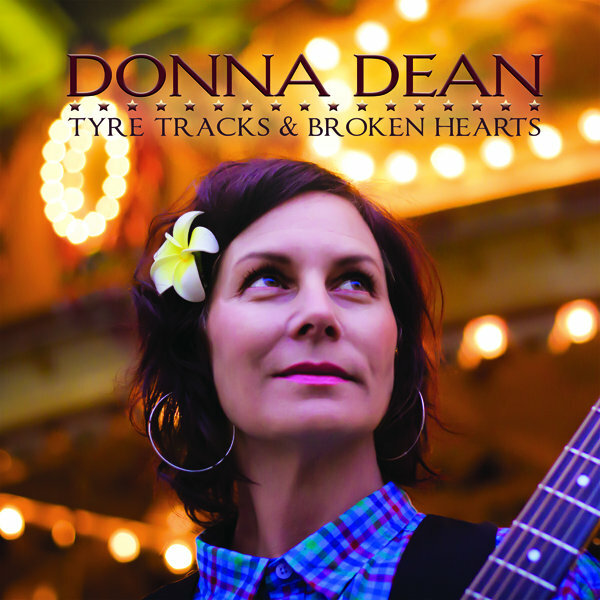 For the Donna Dean sessions, there were four musicians including Dona herself. Minimal numbers of mics, minimal talkback, no headphones. Couches, living rooms, tables, snacks. Lots of mic bleed. Musical arrangements were an ‘adhocracy’. There were some external musicians, who worked remotely with MP3 rhythm tracks and emailed stems for overdubbing. These sessions had a different hierarchy – the songwriter was just one of the team, and the song was the template around which the bottom-up arrangements were created. Contrast – Webby (harpist) sought approval from the composer – ‘am I doing it right?’. Dean – give and take. Egenes – giving up control through communal production. We end with a clip from the temp track for ‘Tyre Tracks’, then we hear Albert Lee’s guitar stem, followed by John’s pedal steel part and fiddler Jane Clark.